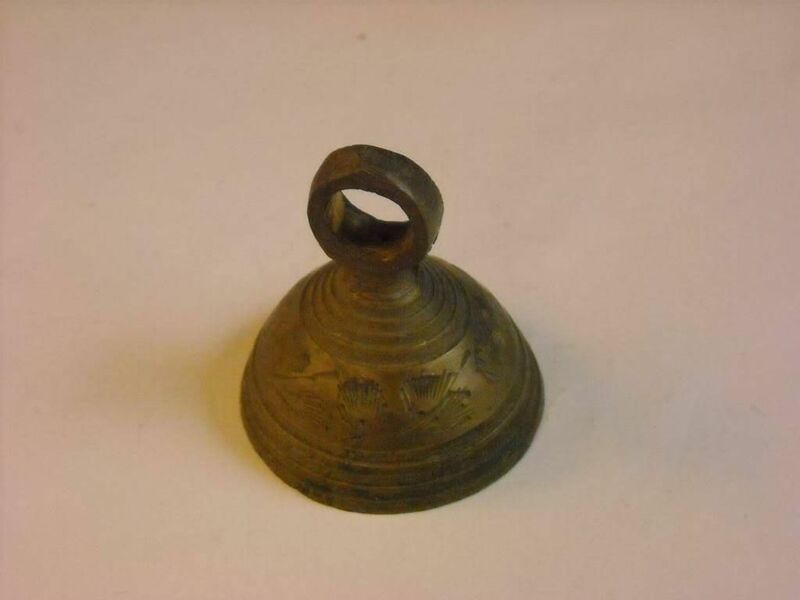 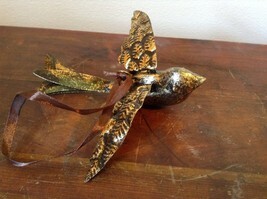 This listing is for a handmade vintage brass bell with etched rings and leaves around the rounded cup shaped body. 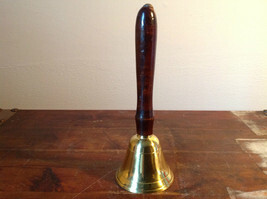 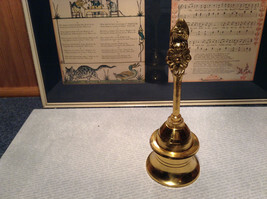 There is a circular finger hold at the top and the bell stands 1 1/2" tall and the bell's diameter is 1 3/8". This item has the #6 imprinted on the inside and was made in India.